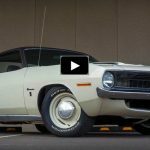 Here is a very nice example of a 1968 Chevrolet Camaro build combining classic appearance with a little bit of modern twist and high performance drivetrain. Immaculate F-Body painted in bright red with black vinyl top and aftermarket 5-spoke chrome wheels polished to perfection. Beautiful factory style black bucket seat interior with few custom touches offers comfortable ride. 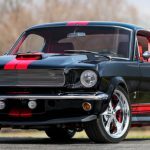 But when it comes to power this 1968 Chevrolet Camaro build doesn’t disappoint either. 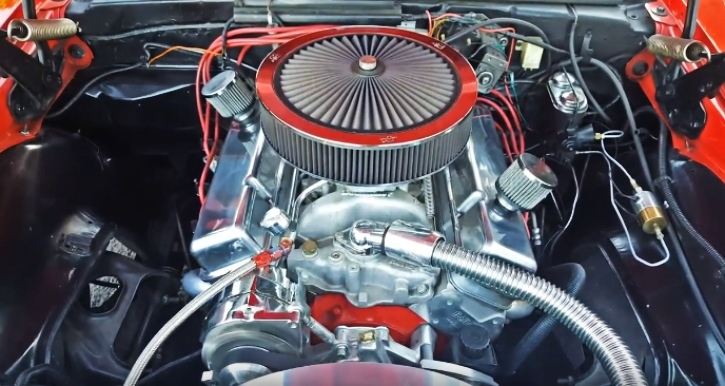 The professionally built and nicely detailed 350 Chevy V8 engine comes with aluminum heads and intake from Holley, Demon carburetor and Billet pulleys. It is mounted to TCI 3-speed Street Fighter transmission and the Performance headers combined with dual exhaust gives it an awesome V8 sound. 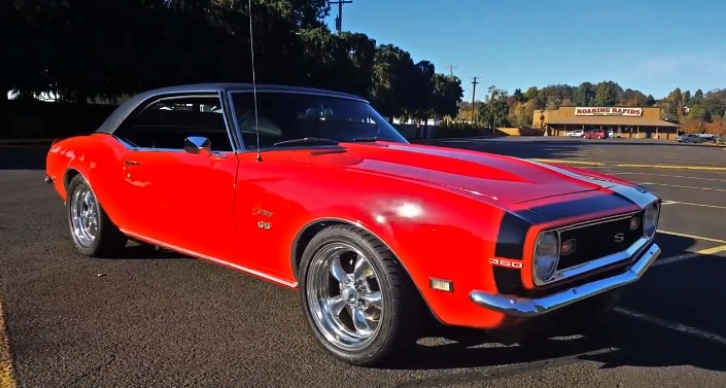 Check out the video to see this stupendous 1st generation Camaro up close.